Morning drives to the Corbett national park, on arrival check in at the wildlife resort. After lunch we will take you for jeep safari into the National Park. Overnight stay at Wildlife Resort. 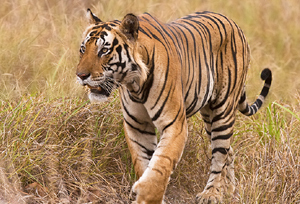 Corbett National park is known for its varied wildlife and as the site for the launching of Project Tiger. 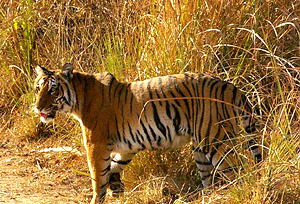 Corbett National Park was one of the nine tiger reserves created at the launch of the Project Tiger in 1973. The original area of the Corbett National Park was 323.75 sq km to which 197.07 sq km was added later. 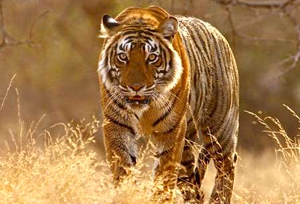 In 1991, an area of 797.72 sq km was added as buffer area of the Corbett Tiger Reserve. It area includes kalagarh forest division and Ramnagar forest division. The Main animals found in the national park wildlife found in the Corbett National Park include the tiger, chital, sambar, nilgai, gharial, King Cobra, muntjac, wild boar, hedgehog, common musk shrew, flying fox, Indian Pangolin and nearly 600 species of birds. Morning jeep safari to the national park for wildlife viewing. After breakfast drive to Dhikala forest Lodge. Upon arrival check into the lodge. After lunch Jeep safari to the national park. Overnight stay at lodge. Morning Jeep safari to the national park for wildlife viewing. Later after breakfast drive to Corbett National park. Upon arrival check into the Wildlife resort. Rest of the day free for own activity or at leisure. Overnight stay at resort. Morning jeep safari to the national park for wildlife viewing. Return to the resort for breakfast, Afternoon drive back to Delhi. On arrival check-in at hotel. Overnight stay at hotel. After breakfast transfer to Delhi Railway station for Ranthambore. Meet on arrival at Sawai Madhopur Railway station and transfer to hotel. Afternoon Jeep safari into the National Park. Overnight stay at hotel. Morning and Afternoon Jeep safari into the national park, to explore the rich Flora and Fauna of the Ranthambore National Park. Overnight stay at hotel. Morning transfer to Sawai Madhopur Railway station for Bharatpur. Meet on arrival at Bharatpur Railway station and transfer to hotel. Afternoon Rickshaw ride at Bharatpur bird sanctuary. Overnight stay at hotel. Morning Rickshaw ride at Bharatpur sanctuary for searching different species of birds. Later drive to Agra. En-route visit Fatehpur sikri, Fatehpur Sikri was built between 1571 and 1585. It is one of the finest examples of Mughal architectural splendour. Though the city is in ruins, it is a must visit place for those who visit Agra. On arrival at Agra check-in at hotel. Stay overnight at the hotel. In the morning visit the famous Taj Mahal (Closed on Friday) built by Mughal Emperor Shah Jahan in memory of his wife Mumtaz Mahal. This monument is made of white marble and it took 22 years to get constructed. Later visit Agra Fort which has the Pearl Mosque, Diwan-e-am (the hall of public audience) and Diwan-e-Khas (the hall of private audience). Evening transfer to Agra Railway station for time to board train for Umaria. Overnight stay on board. Meet on arrival at Umaria Railway station and drive to Bandhavgarh National Park. On arrival check-in at hotel. Morning free to relax, in the afternoon we will take you for Jeep safari into the national park. Overnight stay at wildlife resort. Morning after breakfast at the resort drive to Kanha National Park. On arrival check in at the wildlife resort. Overnight at wildlife resort. Morning and Afternoon Jeep safari to exploration Kanha National Park. Overnight stay at wildlife resort. Morning after breakfast at the resort, drive to Nagpur airport to board flight for Delhi. 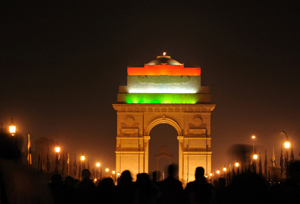 On arrival at Delhi, Meet at the airport and transfer to hotel. Overnight stay at hotel. Transfer to International Airport on time to catch your flight for onward destination.